This year marks the 300th anniversary of New Orleans’ founding. In honor of this amazing achievement, the city will host an array of special tricentennial events to commemorate our unmatched culture and storied history. 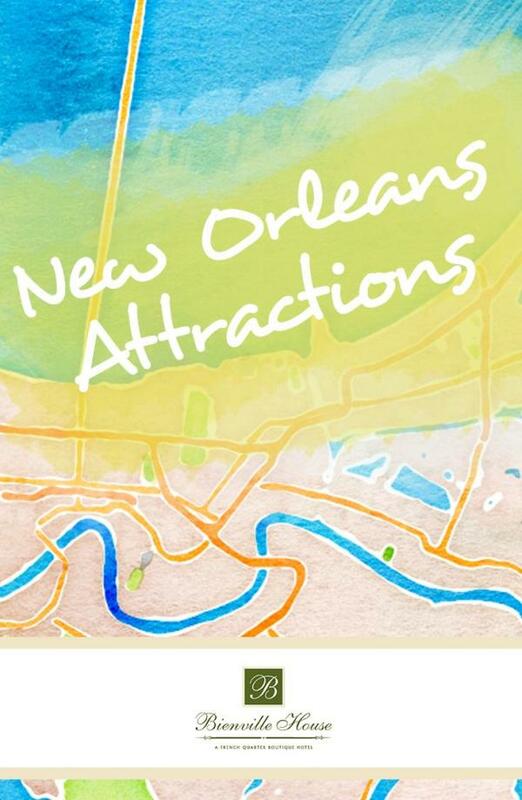 Many of the city’s most notable museums will feature one-of-a-kind exhibits highlighting the rise of New Orleans as one of the world’s most iconic cities, venues and neighborhoods will host block parties and performances from the city’s most celebrated musicians, and popular festivals will include exciting tricentennial celebrations during their run. Many of these events are exclusive to the tricentennial year, so take a look at our round-up of dates, and plan your tricentennial stay at Bienville House’s newly renovated French Quarter hotel. Tabasco: A Burlesque Opera (January 25 – 28, 2018) This “comic operetta” from George Chadwick centers around a Middle Eastern pasha with a passion for spicy foods. When his French chef is unable to provide a piping hot kick to the pasha’s meal, the pasha threatens the chef’s life, sending the French cook on a frantic mission to find a seasoned way to save his life. Tricentennial NOLA Navy Week (April 19 – April 22, 2018) Navy ships from across our great nation and the globe will dock in New Orleans for a special week-long tricentennial festival. You can take a tour of these powerful boats and then enjoy some great New Orleans cooking on the top deck! Citywide Family Reunion (April 22, 2018) Neighborhoods across the city will host their own tricentennial block party in celebration of our 300th birthday. 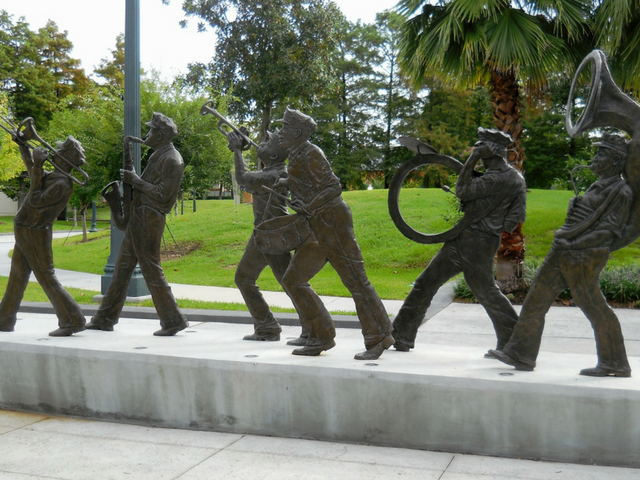 The main festival area of the Citywide Family Reunion is in Armstrong Park, just a short walk from Bienville House’s doors. Bring ya mom ‘n dem to Armstrong Park for a Tricentennial Family Reunion. Trombone Shorty & Orleans Avenue’s Treme Threauxdown (April 28, 2018)Talented New Orleans musician, Trombone Shorty, will take to the Sanger Theatre stage for this special Jazz Fest performance in honor of the tricentennial. New Orleans Jazz Fest Closing & Tricentennial Fireworks Show (May 6, 2018) The closing day of this year’s New Orleans Jazz & Heritage Festival will be unlike any other closing day. This year, festival-goers can enjoy a spectacular fireworks show to close out the Fair Grounds music festival. New Orleans Museum of Art Duke of Orleans Exhibit (October 25 – January 27, 2019) View the Duke of Orleans, Phillip II’s expansive collection of artwork and get an in-depth look at the creative documentation of New Orleans’ early days. Luna Fete presented by the Arts Council of New Orleans (December 1 – 31, 2018) Luna Fete’s annual lights festival will run for the entire month of December this year. The downtown festival features whimsical building projections, interactive lighting installations, and more. No matter what your tricentennial plans are, our newly renovated hotel will be the perfect backdrop for your New Orleans vacation. Stay tuned for updates on our grand re-opening and learn more about the rest of the tricentennial’s events and happenings here.